Judicial Watch today released 510 pages of new State Department documents, including a 2009 request by Clinton Foundation executive Doug Band for diplomatic passports for himself and an associate. Former Secretary of State Hillary Clinton’s aide Abedin responded to Band’s request positively, saying, “Ok will figure it out.” The emails show Hillary Clinton forwarding classified information to Abedin’s unsecured, non-state.gov account. The emails also show Bill Clinton sought a meeting with Mrs. Clinton for a major Clinton donor with State Department officials and Hillary Clinton herself pushed for a joint event with the Clinton Global Initiative. Band also pushed for and obtained special help from Abedin for seven-figure Clinton Foundation donor Chris Ruddy, of Newsmax.com. The new documents included 37 Hillary Clinton email exchanges not previously turned over to the State Department, bringing the known total to date of such emails uncovered by Judicial Watch to 228 of new Clinton emails (not part of the 55,000 pages of emails that Clinton turned over to the State Department). These records further appear to contradict statements by Clinton that, “as far as she knew,” all of her government emails were turned over to the State Department. The Abedin emails include a mid-August 2009, email exchange in which Band urges Abedin to follow up on a request from Newsmax CEO Chris Ruddy to set up a meeting with then-Ambassador to Panama Barbara Stephenson on behalf of lobbyist Amb. Otto Reich, President Reagan’s ambassador to Venezuela who maintained high-level government positions during the tenure of both President George H.W. Bush and President George Bush. In early September, Ruddy then was contacted by State Department Deputy Assistant Secretary for the Bureau of Western Hemisphere Affairs, Roberta S. Jacobson, at the behest of Band and Abedin, in reference to Ruddy’s concerns about Wilson Lucom, whose estate was embroiled in a heated multi-million-dollar lawsuit. Ruddy’s Newsmax Media Inc, made a contribution to the Clinton Foundation of between $1 million and $5 million. The emails show the responsible official was put in contact with Ruddy. 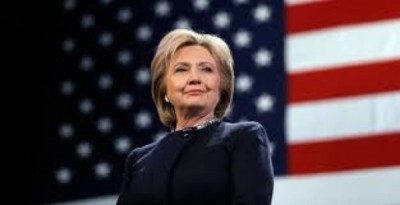 In an email exchange in late August 2009, billionaire businesswoman Lynn Forester de Rothschild intervened directly with then-Secretary of State Hillary Clinton to set up a Parade magazine interview for journalist Les Gelb, assuring Clinton, “He said he would give you a veto over content and looked me in the eye and said, ‘she will like it.’” Abedin then instructed State Department aide Phillip Reines. Reines acquiesced responding, “Yes, we’re trying to find a date that works for Les, but he is a little, shall we say, picky.” Rothschild is a longtime Clinton Foundation supporter who in mid-May of this year held a $100,000-a-plate fundraiser for the presidential candidate. Also in the documents is an August 2009 communication from Hillary Clinton to her aides Abedin and Lauren Jiloty asking for the phone numbers ofDeclan Kelly, Clinton’s former economic envoy to Northern Ireland who is co-founder and CEO of Teneo. On August 22, Judicial Watch released 725 pages of new State Department documents, including previously unreleased email exchanges in which Hillary Clinton top aide Huma Abedin provided influential Clinton Foundation donors special, expedited access to the secretary of state. In many instances, the preferential treatment provided to donors was at the specific request of Clinton Foundation executive Douglas Band.